Title: ADHERENTS OF ALL THREE MONOTHEISTIC FAITHS FERVENTLY EXPECTING THEIR MESSIAH -- SOON! Subtitle: Muslims and Jews are breathlessly awaiting the soon appearance of their "Messiah" figure. Each religion is notifying its people that the appearance of Messiah is close, while Christians are expecting the False Messiah (Antichrist). Can you feel a demonic spirit blowing throughout the world, preparing everyone for the re-establishment of a new Garden of Eden paradise? An extremely rare 17th Century Rosicrucian depiction tells the startling story -- a future Garden of Eden is planned, to be ruled by the Serpent! 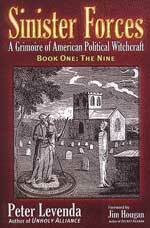 Writers of the Illuminati make it quite plain that they are painfully aware that all religions of the world have some type of "Messianic" predictions. When their own Masonic Christ appears, he shall carefully and meticulously set out to "fulfill" all key "prophecies" from each major religion on earth. In the New Age book, "The Armageddon Script", by Peter Lemesurier, we discover the plan that Antichrist is going to perform the greatest possible deception for all the followers of all the religions of the world. He is going to claim that he is the messiah type figure for which most of the major religions are awaiting. He will claim to the Jews that he is their Messiah; he will claim to the Christian he is Jesus Christ returned the second time; he will claim to the Mohammedans that he is their Imam Mahdi returned; he will claim to the Buddhist that he is Buddha returned; even some Native American Indians have the doctrine that a messiah figure will arise at the last days. In his one person, Antichrist will claim that he is the messiah figure for each of the religions of the world. Of course this is a lie, but a "necessary" one! Mankind will be destroyed, you see, if this lie is not successful! This first quote gives you an idea as to how New Age and/or Illuminist writers twist Scripture to their own ends. Just because you hear someone quoting Scripture does not mean that person is to be automatically trusted in all things they say. The Illuminati does, indeed, plan to create a "new heaven and a 'new earth", as the second quote explains. In fact, they plan to turn the entire earth into another "Garden of Eden", which shall be ruled by the "good god", Lucifer, instead of the "evil god", Adonay (Hebrew God) of the Bible. Now you understand: the coming Masonic Christ (Antichrist) will claim to be the fulfillment of all the messianic figures each religion is expecting, in his one person. You see, he will explain that the same "Christ Consciousness Spirit" which fell upon all the old Avatars of the religions from time immemorial, is now resting within him -- except his "Christ Consciousness Spirit" is now fantastically evolved over the one which fell upon Buddha in his time, and Jesus, and Mohammed, in their times, etc. When the Masonic Christ appears, claiming to be all these Messianic figures, he will gather into himself all these centuries-old messianic prophecies, acting like a spiritual lightning rod. Once all these messianic prophecies have been fulfilled by the Masonic Christ, mankind can get down to the serious business of learning the grandest secret of all time, the secret which thousands of secret societies have protected for nearly 5,000 years. What is this grand secret which the Masonic Christ will teach mankind after they have all been satisfied that their messiah has come? The secret is that all men are gods, that all men have a "godhood" within them, and all they need to do is to realize and develop this "god potential", and they will become gods. This brings us back to the lie at the Garden of Eden, does it not? Remember, what Satan said to Eve, speaking through the serpent? Look carefully at this picture of the Garden of Eden, for the Illuminati plans to re-establish it just like it was before, only this time populated by "Perfected Man", people "knowing good and evil", and acting as the gods they truly are. 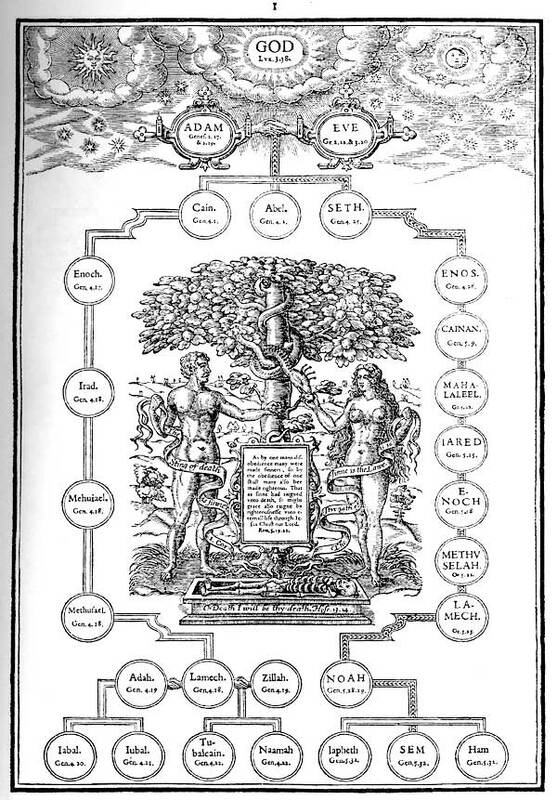 Remember, this Garden of Eden Rosicrucian picture was created approximately 1601 in England. As you examine this ancient Rosicrucian picture of the future Garden of Eden, above, you will notice several interesting aspects of this planned future paradise. * Notice that Masonic Handshakes proliferate in this short genealogy. At the very top, the link between Adam and Eve is a Masonic Handshake. Thereafter, the only place you see a Masonic Handshake is in the genealogy of Cain, the person whom God cursed and marked for the rest of his life. Isn't it interesting that Masonry would trace its genealogy through the cursed line of Cain? * Notice that the Old World Order is pictured as a man in a coffin under the feet of Adam and Eve. Not only does the Plan call for the violent destruction of the Old World Order so the New can come into reality, but it calls for the Old Order to be destroyed in a 7-year "Cleansing Cycle of the Earth". Thus, this future paradise pictured here can only be realized once the Old Order has been "cleansed" and thoroughly destroyed. Christians who know their Bibles will realize that God will never allow this future Garden of Eden to be established, for once Antichrist "confirms the covenant" (Daniel 9:27), he has only seven years left on earth, at the end of which Jesus returns to slaughter the armies of Antichrist at Armageddon! New World Order literature continually claims that their Christ will need only 7 years to "cleanse the earth", return her to ecological balance, and reduce the population by 66% so the rest of mankind can live "Perfected Lives" in a newly-constituted Garden of Eden -- another instance in which the Plan parallels prophecy. As you examine this future Garden of Eden, keep these facts in mind. 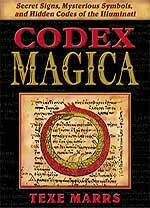 Whenever you see a deliberate mistranslation of a Scripture in a Rosicrucian document, you realize that the reader is being warned that code is being hidden somewhere on that page, either in symbol or letters. To put the matter another way, when you see a deliberately misquoted Scripture, you must realize you are looking at a Rosicrucian/Masonic symbol, or page or document. Now that you know the Illuminati plans to deliberately stage their Masonic Christ, who is to convince all faiths that he is the "Messiah" figure for whom they have been waiting, and that this Messiah plans to re-establish the Garden of Eden, under Lucifer's control, let us now examine the reality that adherents of all monotheistic religions are currently in a fever pitch, believing that the time for their Messiah to appear is imminent! Very imminent! 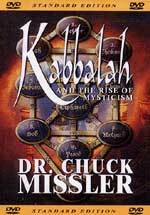 NEWS1516 -- "MYSTIC KABALISTIC JEWISH PRIESTS ISSUE WARNING THAT THE APPEARANCE OF THE JEWISH MESSIAH IS IMMINENT!" Once you have read this article, you will be better prepared to understand the significance of this current news article, below. "Famed Kabbalist Rabbi Yitzhak Kaduri, who has been in serious condition in the hospital for 1.5 weeks, revived and spoke with his close associates for an hour and forty minutes after the end of the Sabbath, this past Saturday night. One of those people, Arutz-7 Hebrew radio showhost Yehoshua Meiri, related to Arutz-7 the rabbi’s words. The rabbi spoke in Hebrew; what follows is an approximate translation:"
"The rabbi said he actually met the person who will be Moshiach, on that date." This "revelation" is so typical of the obscure manner in which occultists of all stripes work. Always do they pretend to have "hidden words", or "lost words", which only they can decipher. The "vulgar" masses can never hope to understand this painful riddles, so the occultists (Kabbalists) lord it over others. Their arrogance and pride know no boundaries. Remember, Kabbalist Jews are the "pretender Jews" of which Jesus warned in Revelation 2L9 and 3:9, "... those who say they are Jews, and are not, but are a synagogue of Satan". Finally, notice that this dying Kabbalist rabbi remained Kabbalist to the very end. Secretive to the very end! Expectations of Islam For Their "Imam Mahdi"
"Iranian President Mahmoud's Ahmadinejad's mystical pre-occupation with the coming of a Shiite Islamic messiah figure – the Mahdi – is raising concerns that a nuclear-armed Islamic Republic could trigger the kind of global conflagration he envisions will set the stage for the end of the world. While Mahmoud Ahmadinejad has been making headlines lately by questioning whether the Holocaust actually happened, by suggesting Israel should be moved to Europe and by demanding the Jewish state be wiped off the face of the earth, his apocalyptic religious zealotry has received less attention. "In a videotaped meeting with Ayatollah Javadi-Amoli in Tehran, Ahmadinejad discussed candidly a strange, paranormal experience he had while addressing the United Nations in New York last September. He recounts how he found himself bathed in light throughout the speech. But this wasn't the light directed at the podium by the U.N. and television cameras. It was, he said, a light from heaven ... Ahmadinejad wasn't the only one who noticed the unearthly light. One of his aides brought it to his attention. The Iranian president recalled being told about it by one of his delegation: 'When you began with the words ‘in the name of Allah,' I saw a light coming, surrounding you and protecting you to the end." ""On the last day when I was speaking, one of our group told me that when I started to say 'Bismillah Muhammad,' he saw a green light come from around me, and I was placed inside this aura', he says. 'I felt it myself. I felt that the atmosphere suddenly changed, and for those 27 or 28 minutes, all the leaders of the world did not blink. When I say they didn't move an eyelid, I'm not exaggerating. They were looking as if a hand was holding them there, and had just opened their eyes – Alhamdulillah!" "Ahmadinejad's vision at the U.N. is strangely reminiscent and alarmingly similar to statements he has made about his personal role in ushering in the return of the Shiite Muslim messiah. He sees his main mission, as he recounted in a Nov. 16 speech in Tehran, as to 'pave the path for the glorious reappearance of Imam Mahdi, may Allah hasten his reappearance'." "According to Shiites, the 12th imam disappeared as a child in the year 941. When he returns, they believe, he will reign on earth for seven years, before bringing about a final judgment and the end of the world. Ahmadinejad is urging Iranians to prepare for the coming of the Mahdi by turning the country into a mighty and advanced Islamic society and by avoiding the corruption and excesses of the West." Now you know one of the major reasons the Iranian hardliner leadership is so unafraid of America and the entire West, for they believe their coming Imam Mahdi will ride to their rescue. They probably believe that the reason Russia has Scalar Weaponry, which is so superior to anything America possesses, is because Allah has given this capability to them! Toward this end, Russian President Putin has declared that Russia is the "protector" of Islam! And, one day, Russia will lead a consortium of nations -- including Islamic nations -- in an attack against Israel (Ezekiel 38-39 tells this prophetic story). Is Iran Viewing Areas of Iraq In Messianic Terms? Who is standing in the way of the appearance of the Imam Mahdi? 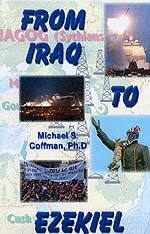 You might be surprised to learn it is the same nation which invaded Iraq on March 20, 2003. Does this information change your perception slightly as to why Iran is being so adamantly aggressive in responding to Western threats over its supposed nuclear warhead program? As we have stated before, the Illuminati will not attack Iran unless it is ready on all fronts for the Third World War to begin -- the war which will produce the Masonic Messiah. Cutting Edge readers and subscribers do not need to be told how much genuine believers are looking forward to the coming of our Lord Jesus Christ. However, in contrast to the religions of Islam and Orthodox Judaism, Christian prophecy in the New Testament teaches that two Messiah figures are going to arise: the False Messiah (Antichrist) will arise first, followed by the True Messiah, Jesus Christ, returning to the Earth for the second time, seven years after the False Messiah has "confirmed the covenant" with Israel's leaders. While we are very interested in the fact that End Times prophecy is being fulfilled all around us, and we can see the stage being set for the fulfillment of many others, we know that we can set no firm timetable. Further, while we can know the return of Jesus Christ is close because of fulfilled prophecy and because the Holy Spirit is whispering in the ears of many Christians, we also know that Jesus told us point-blank we would not know the hour or the day when He returns. We also know that a false messiah will appear on the world scene before Jesus Christ returns, and will deceive many; his name will be Antichrist. The first person claiming to be Jesus Christ will be Antichrist. In other words, the false Messiah must come before the True Messiah. The first person claiming to be Messiah will be the false one; in fact, when Jesus Christ returns, He will make no claim to being Messiah other than His annihilation of the armies of Antichrist encircling Jerusalem, His seizure of Antichrist and the False Prophet, and His Omnipotent Power amply displayed. All throughout the New Testament eschatology, we see this theme presented. While we will know the general time period of the Lord's return, we will not know any specific date, or even a specific year. These verses are so well known amongst those Born Again Christians who are familiar with prophecy, no mature Christian should get excited about any mention of any specific time frame. In fact, whenever we hear of a specific time being mentioned as to Jesus' return, we mark our calendars as the day that Jesus' return will NOT happen! Truly, these events are exciting, as the world nears the final showdown. For the first time in the modern era, key religious leaders are publicly whipping up the expectant frenzy of their believers, telling them that the appearance of their Messiah is very close. What no one is telling these hundreds of millions of people is that ONE MAN will fulfill the Messianic expectations for all three Monotheistic religions. A spiritual superman will arise, displaying great power and "signs and wonders", claiming to be the Christian Messiah (Jesus returned), the Jewish Messiah, and the Islamic Imam Mahdi -- all in his one person! Most of the peoples of the world will accept this "Messiah" based upon his great public power, his "lying signs and wonders". During the House of Theosophy meeting into which I was sneaked on August 18, 1991, I learned the occult power by which Antichrist shall burst upon the world scene. Quoting from the nearly verbatim remarks of that meeting (NEWS1052), listen to the power by which Antichrist shall arise, and just some of the unbelievable miracles which will accompany his appearance." "When Lord Maitreya appears, he will appear as different beings to different people. 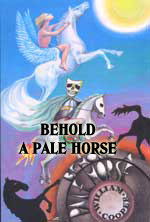 Another author has also indicated that his image will appear over all nations of the earth simultaneously, and that he will speak to each ethnic group in their own language. We know this is technologically possible with computer images being sent from ground to satellite and back down to earth. There will evidently be a mixing of super-natural phenomena and advanced technology when the staging of Anti-Christ occurs. Of course, if Satan has deliberately revealed scientific secrets to man, as New Agers claim, we can say that both the super-natural phenomena and scientific technology are the work of Satan. "The power of massed thought is omnipotent...The Spirit of Peace is hovering close to humanity, seeking opportunity to make His Presence felt. The Spirit of Peace is not an abstract concept but a potent Individual, wielding forces hitherto unfamiliar to our planet. Great Forces are awaiting the hour when They can function as the Liberators and the Deliverers of mankind. But the door to Their entrance must be opened by humanity itself and it will be opened by a united act of the will, expressed through some formula of words and expressed in sound." This "sound" will be like nothing ever experienced in the history of mankind. Not only will people audibly hear this sound, their souls will be terribly jarred somehow by this "sound", to the point where they will be shaken like never before. It is difficult to describe this type of deep-level emotional and psychic shaking of each person's soul on earth. People's minds and souls will literally be "blown away". AND, each person on earth will come to the abrupt realization that this "sound" which is jarring their inner soul like a bowl of Jello is tied directly into the abrupt appearance of the Masonic Christ, who somehow is so very, very appealing. Each person will know instinctively that this deeply moving experience -- which will border on religious ecstasy -- was caused by this Christ. They will instantly be moved to worship and adoration! Does this prophecy foretelling that God is going to "shake" the earth in His judgment to include this "soul-shaking" supernatural "sound" which the forces of Antichrist will be sending throughout the whole earth? I believe it is very possible. If every person's soul is shaken to the very core, this next prophecy makes a lot of sense. After receiving such a psychic jolt, the peoples of the world will follow after the Beast (Antichrist) with "amazement and admiration" and they will "pay homage" to him and to Satan by whose power these mighty miracles have occurred. Members of all three Monotheistic faiths -- Muslims, Jews, and deceived Christians -- will fall to the earth to worship him. At that point, another somber prophecy will occur. God will have delivered His dreaded "strong delusion" in order to seal the eternal fate of the unbeliever. Truly, the world stands at the precipice of time and eternity.